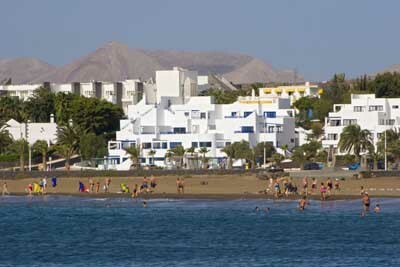 Address: Avenida de las Playas, 77, Puerto del Carmen (Lanzarote), Islas Canarias. Guests are required to show a photo identification and credit card upon check-in. Please note that all Special Requests are subject to availability and additional charges may apply. This property will not accommodate hen, stag or similar parties. Please note that reception opening hours are as follows: Monday to Friday: 08:30 to 20:00 Saturdays: 08:30 to 13:30 Sundays: 10:00 to 13:00 Please advise the complex in advance if you are scheduled to arrive outside of opening hours. The apartment complex reception has a 24-hour contact number. Please note the following services and facilities are available at an extra cost: Luggage storage EUR 10 per day Air conditioning EUR 6 per day Safe EUR 2 per day American Express Card is not accepted as a method of payment. Please note that pets are not allowed. Please note apartments are cleaned 3 times per week at the same time as the towel change. Bed linen are changed once per week.